When promoting your own website, do not forget that there are shareware and free advertising methods that usually are the major search sites (Google, Yandex, Rambler, etc.). In addition, free publicity can be stored in various social networks. One of the most popular Russian sites - Yandex, the search engine gives an opportunity to advertise your site in Yandex directory". There you can post information about the location of the company, phone, address, provided goods and services and hours of operations of the company (if any). Of the filing of the information before placing it may take some time. To the shareware for advertising your site include advertising through "Yandex-direct" (contextual advertising, which is shown on the key words individual users). The cost of the advertising company for a month could start from 400-500 rubles, depending on the number of covered regions, the number of keywords and the placement. To get to the top when you search using the service "Webmaster" in Yandex. By registering it, you can not just inform about a new site to add it to directories, but also to correct errors of indexing, see site statistics, etc. The biggest search engine Google lets you advertise your website on Google'". Here you can upload your company's details and website, phone numbers, addresses and locations on the map (if necessary). In service, you can leave comments about the quality of goods and services to increase the ranking in search. Shareware is contextual advertising from Google Adwords to estimate the cost of advertising and cost per click-the transition to advertised site independently with the help of Adwords. Approximately these types of services have virtually all of the search sites. 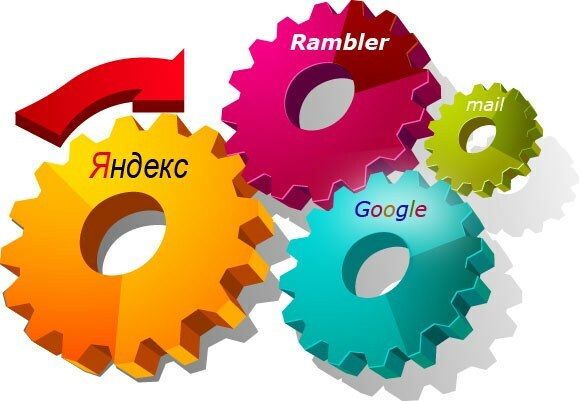 For Russian-speaking users and site promotion in Russian should register for these sites as Rambler.ru, Mail.ru (they represent the same services as major search engines, but without binding location on the map). Social networks are also a good free advertising site for site promotion. To advertise enough to have an account (or several) on all popular social networks (Livejournal, Vkontakte, Facebook, Twitter, Instagram) and take notes with links to the site. Advertising can also be left in the comments to entries popular users (ideal for viewing is hit in the first 20 comments). Some social networks (Vkontakte, LiveJournal) offer low cost of contextual advertising.